There’s a new Disney theme park hitting Shanghai next month, and TRON fans will be excited to hear about the new ride, but sad to hear it will only be built there. Fans get to ride a light cycle in the new ride, check out the video below. 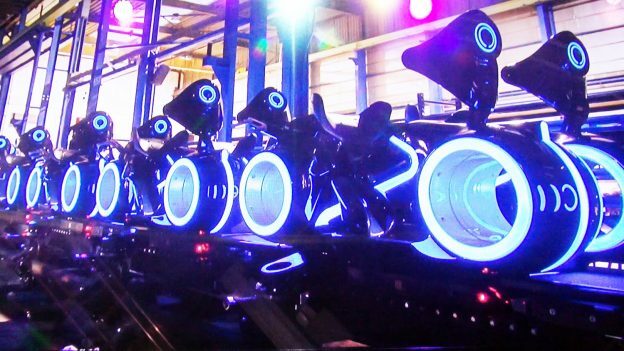 The Tron Ride will be called TRON Lightcycle Power Run. The ride is marketed as an intense roller coaster or anything like that, riders are sitting in their light cycle during loops and steep drops. The TRON ride does look fast and the dark lighting inside the ride offers an experience that makes you feel like you’re riding around on the signature TRON vehicle. Sadly this ride is only available in Disneyland Shanghai, so unless you head over to China, you won’t get to ride it. 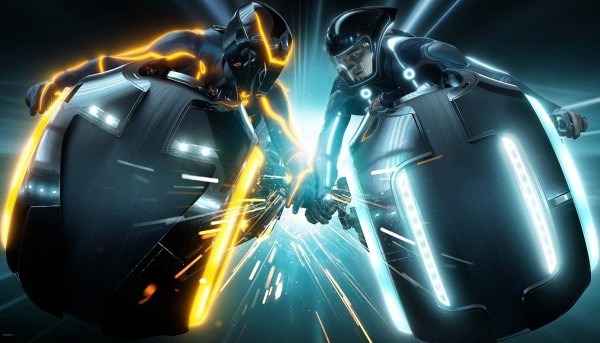 TRON Legacy performed badly at the box office, so a new film has been delayed and delayed.